Charlie Gerhards is the founder and president of Gerhards Consulting Group, LLC. Launched in 2003, the company works with premier technology companies across the United States, as well as public sector and healthcare organizations. The goal and commitment is to help these organizations achieve their specific technology goals. He also serves as a senior advisor to Bravo Group’s Government Relations team. Before starting Gerhards Consulting, Charlie served as the Governor’s Secretary of Administration, as well as, Chief Information Officer (CIO) for the Commonwealth of Pennsylvania. As state CIO he was responsible for the establishment of statewide policies, standards, and guidelines governing the planning, management, acquisition, security, and use of information technology assets in all Commonwealth agencies under the Governor’s jurisdiction, impacting 85,000 state employees. Charlie was appointed to this post by Governor Tom Ridge in January 1999 and served under both governors Ridge and Mark Schweiker. He retired from the Commonwealth in January 2003 after 33 years of public service. As the state’s CIO, Charlie oversaw the development and implementation of some of the most pioneering government technology projects in the nation. Included among those initiatives was the Data PowerHouse, the first successful state government data center consolidation and outsourcing project in the nation; the PA PowerPort, state government’s award-winning Internet portal and related e-government applications; Imagine PA, successfully completed one of the largest public sector enterprise resource planning (ERP) projects in the world; JNET, Pennsylvania’s nationally recognized integrated justice network; Commonwealth Connect, which provided 65,000 state employees with a unified email system and standard desktop software for creating and sharing office files; the Keystone Communications Project, representing the largest transition to competitive telecommunication services in the nation; and the construction and deployment of one of the most advanced, voice-and-data, public safety radio networks in North America. Based on these accomplishments, the Commonwealth won many prestigious awards and captured the attention of the national media. Additionally, in 2002, Charlie was recognized with the “Public Official of the Year” award, which is presented annually by Governing magazine. In March 2003, Charlie was named by Government Technology magazine as one of the “Top 25 Doers, Dreamers and Drivers” in public service. The publication explained that this honor was reserved for leaders who managed “innovations (that) have helped advance the art of applying technology to government service, changing the landscape of public-sector IT.” Many of these shared service initiatives are still being recognized as global best practices. In June 2009 the Computerworld Global Foundation honored Pennsylvania for “the societal benefits of its IT shared services initiatives”. 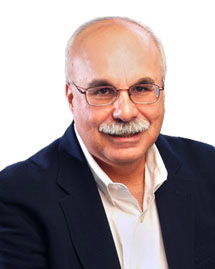 Charlie is a graduate of The Pennsylvania State University and served many years as an Advisory Board member for Penn State’s acclaimed College of Information Sciences and Technology (IST). He has been a featured speaker at numerous national conferences, has testified before Congress on various technology issues and has been frequently quoted in national mainstream and technical publications.